DINGED PHILS FRANCO HITS OFF A TEE: WHEN WILL HE RETURN? 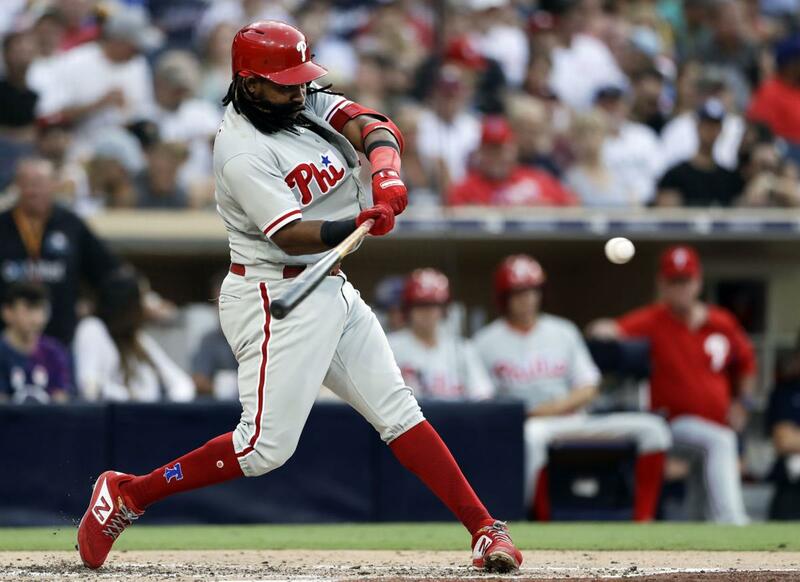 The Phillies’ September chase for a playoffs spot would be a whole lot easier if Maikel Franco was back in the lineup. 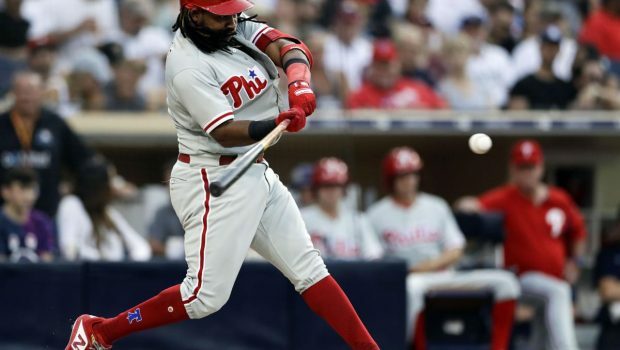 He tested his swollen left wrist yesterday, hitting off a tee in the indoor cages of New York’s Citi Field, hoping to return to the Phillies for first time in a week. The drills came a day after an MRI revealed no structural damage in Franco’s wrist. He classified the injury as a bone bruise. The pain, Franco said, first occurred during an at-bat against Blue Jays reliever Joe Biagini on Aug. 26 in Toronto, when the righty jammed Franco with an inside fastball. He attempted to play through it in the days that followed, going hitless in 13 a-bats. Franco then missed all three games in Miami this week. He is hitting .267/.311/.470 with 22 home runs and 66 RBIs this season, but he has been markedly better than that since turning his year around in late June. Since June 23, he’s hit .294/.338/.531 with 13 home runs and 30 RBIs in 61 games. Previous IT’S MONEY TIME! WILL PHILS’ HERRERA AND HERNANDEZ STEP UP? Next PHILS SLUGGER HOSKINS’ BREAK-OUT BOMB, HIS 28TH, WATCH!